There's nothing like an iced coffee on a hot summer's day! It's even better with the windows down and the music turned up. I've been getting a lot of use out of my cold-brew coffee maker (thank you wonderful boyfriend of mine!) and have been experimenting with different flavor combinations. 1. Cold-brews are less acidic than regular (drip) coffee. 67% less! If you have issues with stomach acid, try cold-brews for a change. You can also use tea leaves instead of beans in your cold-brew systems. 2. Hot-brewed coffee tends to turn bitter due to the acids and oils extracted during the heating process. Cold-brew systems extract flavor from the beans but leave the bitter elements behind! This research was done by a chemical engineering graduate of Cornell University. 3. Cold-brews are balanced and smooth and can be stored in the refrigerator for up to 2 weeks or heated and flavored with your favorite ingredients. Perfect for making large batches in advance and using up during busy work weeks. The Puritan- cold-brew and water on the rocks. The options are endless. 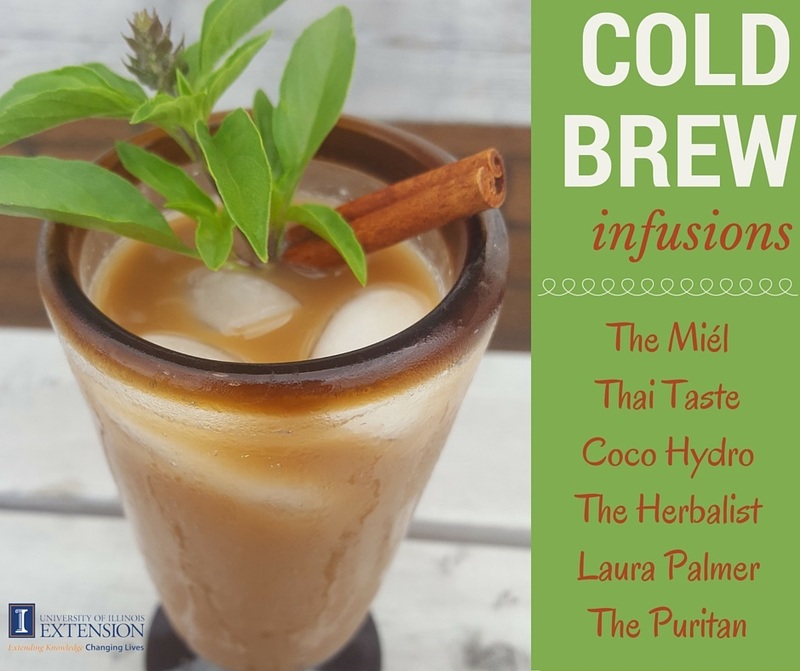 You can make blended versions of the ones listed above or even use your cold-brew in desserts such as tiramisu, brownies and layered parfaits. Just make sure you have your to-do list ready after drinking all this coffee! !